In this pumpkin and ghost workshop you will use various clay hand building techniques to craft a fun seasonal piece of pottery. Everyone will also be given a tealight for their piece! This class is perfect for anyone who wants to experience the basics working with clay. This is a fun 90 minute long class of guided instructions to help you create your Halloween decorations. This class can hold up to 10 people. Is appropriate for ages 6 years old and up. All work will be ready before halloween so you can enjoy them! A courtesy email will be sent letting you know exactly when your pieces are done. Pieces can be picked up Wednesday nights during Lowell Makes Open House from 6-9PM. You can also contact the instructor to set up an alternative time if that does not work. Your art will be held no longer then one month after an email has been sent stating the work is finished. Lowell Makes Members are entitled to a 20% discount on ticket prices after costs of materials (materials cost for this class: $5). Chelsi Hanley grew up in Lowell Massachusetts, currently a city with a vastly growing art community. Chelsi attended Lowell High School from 2004- 2008, where she grew a fast connection and love for ceramics. She carried this love to college where she pursued a degree in Fine Arts. Chelsi attended the University of Massachusetts in Lowell from 2008 to 2013. Here she primarily concentrated in dark room photography, sculpture, and ceramics. Part of the reason she acquired the liking for these three mediums is the hands on connection she can make with the material. Chelsi was the art teacher at the Boys & Girls Club of Greater Lowell where she helped youth gain inspiration for their art and life; between 2011 and 2014. Chelsi was the manager of the Ceramic Studio, Indigo Fire, in Belmont, Massachusetts. Chelsi continued her education after college at MudFlat in Somerville Massachusetts where she took classes and an independent study. 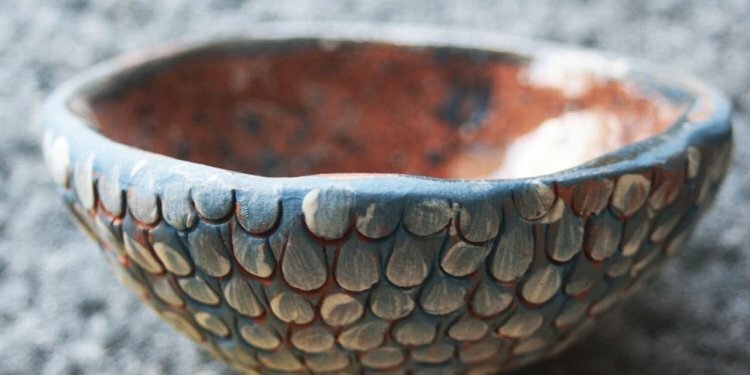 Currently she is growing her collection and is creating her ceramic pieces at LowellMakes.